Keeps bugs out..Keeps dust out..
Airtight.. Great for outdoor parties & drinks.. 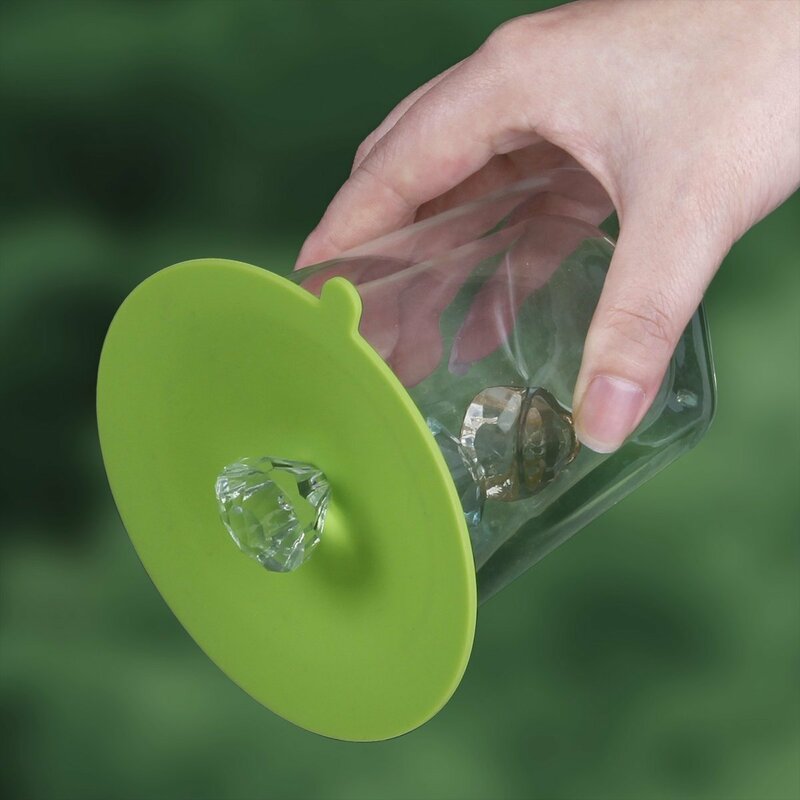 Cute idea for identifying owner's cup and for keeping pests out of drinks - coffee or cold drinks. They have a bit of suction when placed on hot cup of coffee, which helps keep the temperature. The little crystal-like knobs for the top are removable, colorful too, and can be placed on any lid you choose, mix or match. Love sitting on the deck in summer.. These will be awesome for having drinks outside during the summer. No need to shoo away flies - put your lid on and they can't get in. They form a suction and you can lift the glass by the little knob. I haven't tried on a large full glass but its cool to play with on an empty one.